This show was broadcast on January 14, 2014. 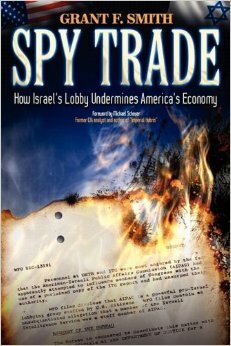 Grant F. Smith is the author of America’s Defense Line: The Justice Department’s Battle to Register the Israel Lobby as Agents of a Foreign Government and Spy Trade: How Israel’s Lobby Undermines America’s Economy. He currently serves as director of research at the Institute for Research: Middle Eastern Policy in Washington (IRmep), D.C. Read other articles by Grant, or visit Grant’s website. This entry was posted on Saturday, January 11th, 2014 at 9:13 pm	and is filed under 9/11, Anti-War, Censorship-Propaganda, False Flag/Fake Terror, Freedom, Justice, Kevin Barrett, Mind Control, News, Occupation, Protest, Surveillance, War Crimes. You can follow any responses to this entry through the RSS 2.0 feed.